When I want to cook something I’ve never cooked before I usually spend some time doing my research and read a few recipes before adapting my own concoction under the watchful eye of the likes of Jamie and Nigella. Not tonight though. My years of avid Food Network viewing have finally paid off and I’ve created a recipe completely from scratch that would make Ina Garten proud (if you know then you know). 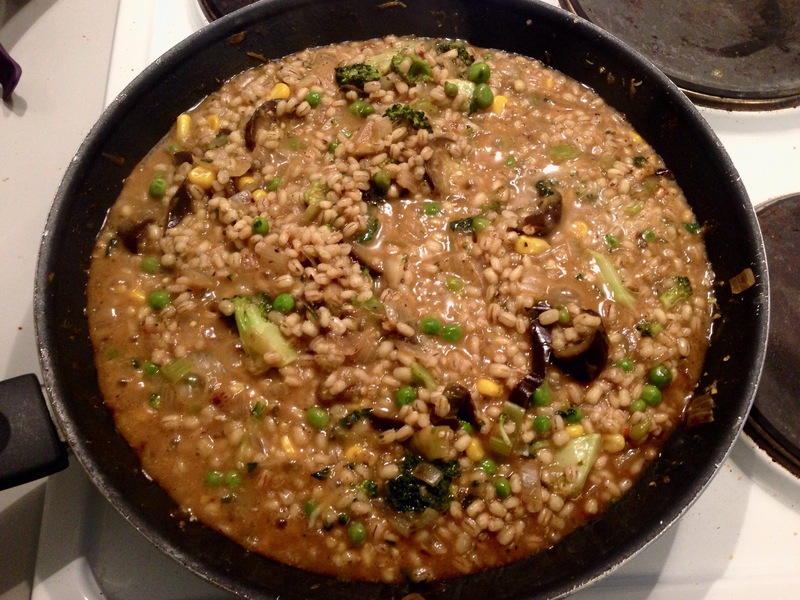 This Pearl Barley Risotto is super healthy and super easy to make, even if you’ve never made a risotto in your life before. 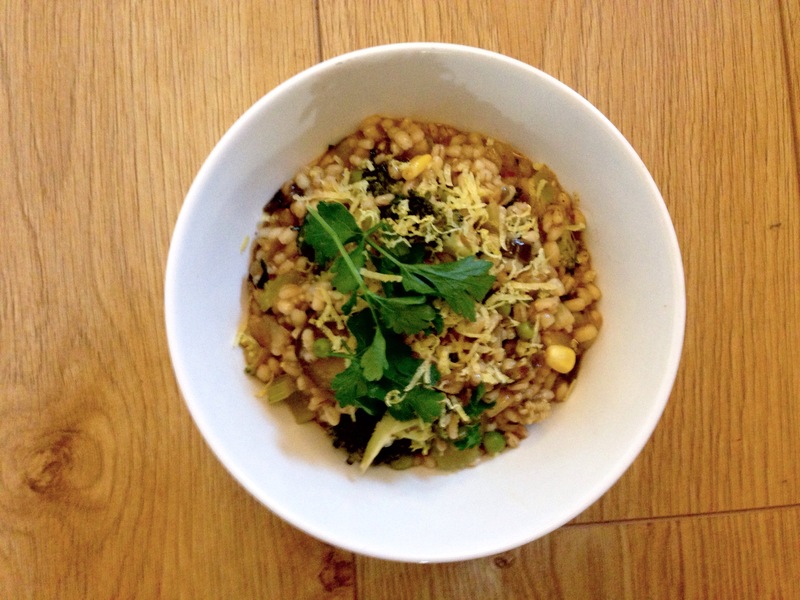 Rinse the pearl barley and add it to a saucepan with enough boiling water to cover it – you don’t want it to dry out. Let it boil whilst you prepare the vegetables. Fry the diced onion in the coconut oil until it’s soft. Whilst the onion is cooking slice the baby aubergine and toss it in olive oil and salt then add to the pan and cook through. 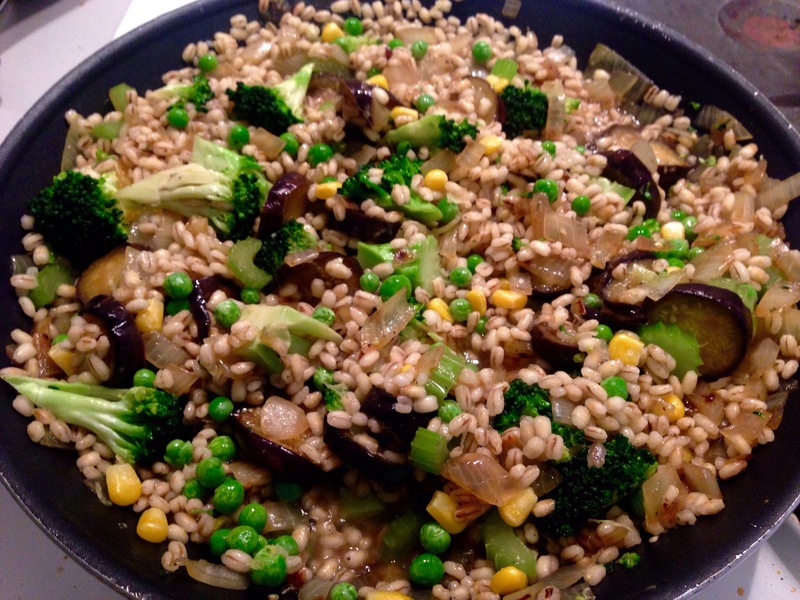 Chop the broccoli and celery and add to the pan. 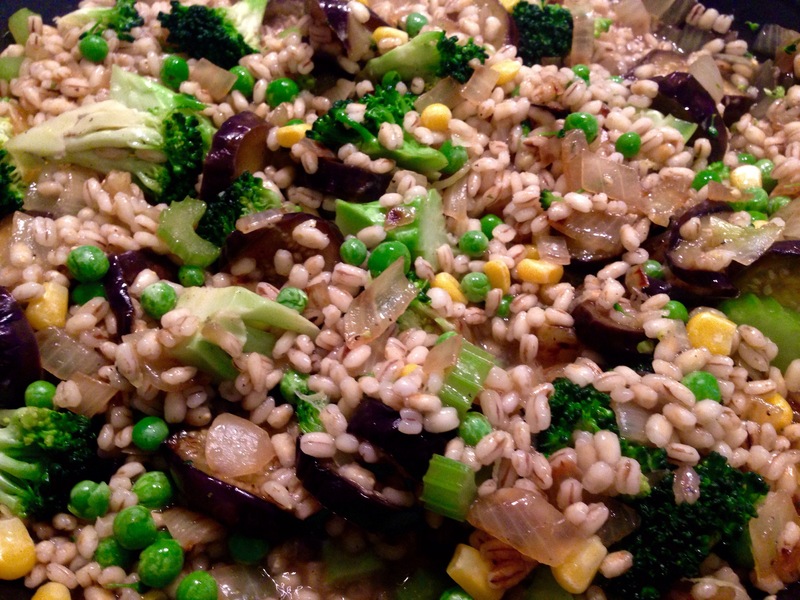 After the pearl barley has softened a bit drain it and add it to the vegetables and add your first lot of stock. The amount of stock will depend on how quickly its absorbed so just pay attention to it and keep stirring! Add the lemon juice, zest, chopped herbs and seasoning and stir. I added about 1 and a half pints of stock in 3 lots and I let it simmer for about half an hour. It does need a fair bit of attention but its not difficult and its most definitely worth it. 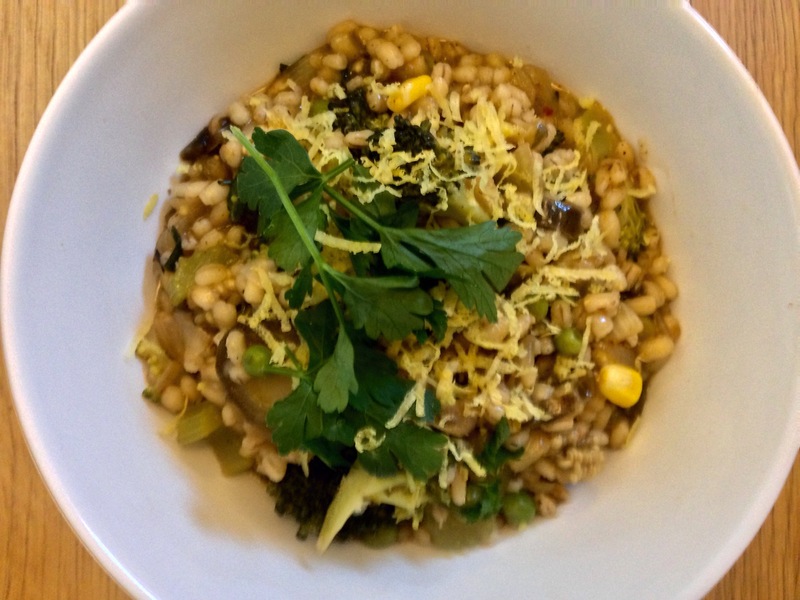 When it looks like its nearly ready and the pearl barley is cooked through, add the peas and sweetcorn and stir in the fromage frais. Stir everything through one last time and check the seasoning. Once it’s thick and creamy, serve and garnish with lemon zest and fresh parsley. DELICIOUS. Even if I do say so myself.